Mom of the Month: Another Inspiring Transformation! In September of 2015 I had the pleasure of meeting another new group of first-time moms in Active Moms Club’s Postnatal Recovery Class. Brienne was one of the women in class. I know her well now because she has been working out regularly with AMC ever since. What I didn’t know until recently is how she felt about exercise when she came to class because these days her enthusiasm to crush each and every one of her AMC workouts impresses me. Brienne’s son will be two years old this month. During her pregnancy, she ran intervals on the treadmill five times a week through her first trimester, and switched to “power walking” when running became uncomfortable. She continued this workout routine until the very end; she was even on the treadmill the morning of the day she went into labor! I sat down and asked Brienne to tell her inspiring story. She’s on a quest of self-discovery as she explores her strength through AMC’s training. I was at the beginning of a long maternity leave, and looking for something to help push me to get out of the house with my newborn and meet other new moms. I had read about AMC’s postnatal recovery class while researching ways to get back in shape after pregnancy, and when a friend who recently had taken the class recommended it to me, I was sold! Then, I was so impressed with Cassandra’s calm yet motivating energy and specialized knowledge of the postnatal woman’s body (not to mention the results I was seeing in my own body) that I decided to stick with AMC after I “graduated” from the postnatal recovery class. After Brienne ‘graduated’ from the Postnatal Recovery class, she joined Fit & Fab Small Group Training sessions and participated in the 60-Day Fitness Challenge for the remainder of her maternity leave. Since returning to work full-time as an attorney, she continues to make her fitness a priority and participates in Fit & Fab training twice a week, as her schedule permits. I feel like I am in the best shape of my life! My body is so much more toned than ever before. Although my current weight is about the same as my pre-pregnancy weight, my clothes fit completely differently now – but in a good way. In fact, when I prepared to return to work just a month after beginning Fit & Fab workouts, I found that I had to replace all of my pants from before pregnancy because I had dropped a size! I’m extremely proud of how committed Brienne is to her workouts and eagerness to learn new skills during training sessions. She started Fit & Fab workouts with limited range of motion in her chest, shoulders and spine (like many moms) and used light weights to begin to build upper body stregnth. 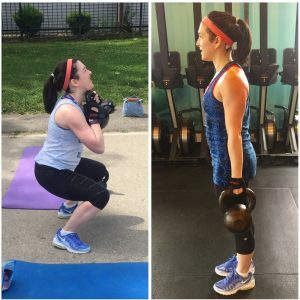 Her beginning kettlebell weight was 8kg kettlebell (16 pounds), just holding that overhead with a straight elbow proved to be a challenge for her. Slowly Brienne’s strength and mobility started to increase because of her consistency. Aptly her exercises have become more challenging along with executing them with a heavier load. She recently graduated to a 14kg (30 pounds!) kettlebell as her ‘light’ weight, and can press it overhead five times on both left and right side! She can swing 24kg and squat 20kg! More importantly, Brienne has SIGNIFICANTLY more mobility in her thoracic spine, hip capsule, and shoulder girdle thanks to the use of kettlebells. I love looking in the mirror and seeing toned, defined arms and shoulders. I also love how strong and empowered I feel when I lift heavier and heavier weights, or succeed in executing a new or more difficult skill with good form. I am very proud that I am stronger, faster, and fitter now than I was before I became pregnant! What are your personal fitness goals? Rather than wish for change, take action! No exercise experience is required to start our Fit & Fab strength training program. Let the power of small group training move you! Join us for a one-time Fit & Fab test-drive for just $25. Experience a session for yourself and you too will be on your way to feeling more confident about what your post-baby body can do. Based on demand, Fit & Fab now has a 30-Day Outdoor Summer Fitness Blast beginning July 15th! Join us for four weeks of fitness that will take the guesswork out of slimming down and getting fit. You could be AMC’s next success story! 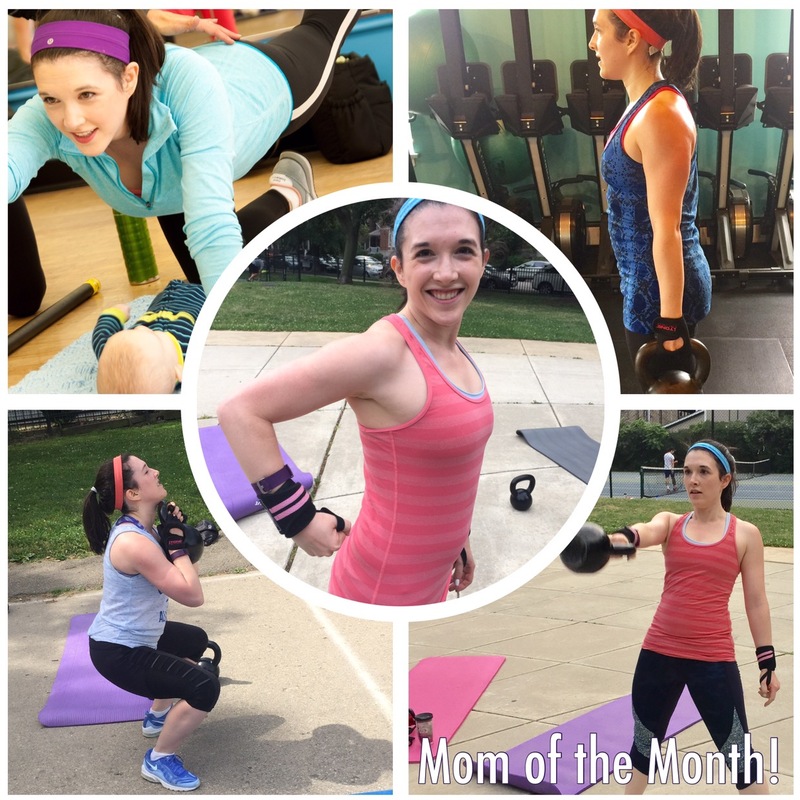 1-Year Postpartum: Strength Training Transformed This Mom! 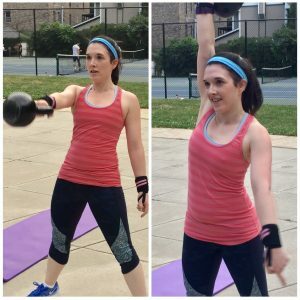 Next Post1 Year Postpartum: Strength Training Transformed This Mom!